An Arizona sun screen is a special window screen mesh that is specially designed for sun control. 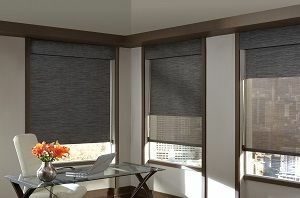 It is the most effective way to control the sun’s heat and glare by stopping the heat before it enters your window. Much like a big shade tree, an exterior sun screen will help reduce your cooling costs, reduce the load on your air conditioning, and help reduce glare and fading of home furnishings. Arizona sun screen fabric is extremely durable and pet resistant. Sun Screens are an extremely affordable way for Arizonans to reduce their energy costs and make their home more comfortable.